If you do a lot of gardening, you will come across several insects that are a problem for your crops. 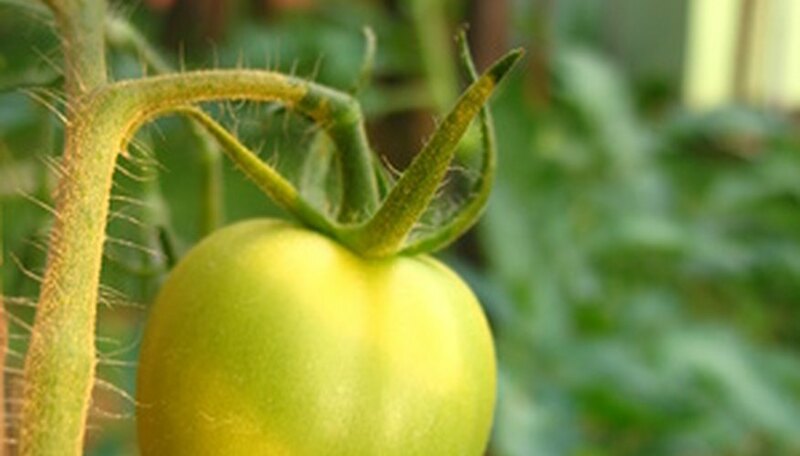 Tomatoes especially have a few different bugs that are bothersome. One in particular is the whitefly. It damages the vegetation of the plants with its suckers and can spread diseases from one plant to the next. If you have flies on your tomatoes, you need to remove them quickly in order to maintain healthy produce. Spray your plants with a water hose to drown the whiteflies. Spray up into the plant from below instead of over top. Do this every day to kill the full-grown flies. Removing them will reduce your problem over time. Paint a small 1-foot by 6-inch board with an enamel or latex yellow paint to attract the flies. You could also paint a piece of cardboard. You use this paint so that it will withstand moisture from weather as well as what you will be putting on it. Mix one part mineral oil and one part petroleum jelly in a bowl and then smear on one side of the board. You could also use just petroleum jelly, motor oil or another thick oil. Place the board on the ground in your tomato growing area. The flies will come to it and get stuck. You could also attach it to a stake and put it in the ground similar to a sign. Have one trap for every two tomato plants.